Skyfall is the best movie in the theatre right now. If you are a James Bond fan and have not seen this film, then I suggest you get out there and do so immediately. It is my second favorite Bond film behind Casino Royale (2006). Daniel Craig is not quite as cold blooded in Skyfall as he is in Casino Royale, and the film as a whole is not quite at dark or quite as intense as Casino Royale, but it is a very close second. If you are looking for a superb action flick that will keep you on the edge of your seat, then this is the movie for you. It is well acted, well directed, and well filmed. The movie is almost 2 ½ hours long, but it felt like it was half that long because it keeps your attention the whole time. Time flies when you’re having fun. Javier Bardem’s villain is one that you will love to hate. I think that I will hate it when Daniel Craig is no longer Bond. In my opinion, Daniel Craig is the best James Bond. 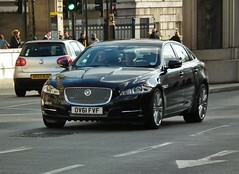 Lucky for me, he has signed on for Bond 24 and Bond 25. Skyfall seems a little bit more realistic than most other bonds. The action scenes don’t seem as far out as most other Bond films. The gadgets are fewer and also more realistic. It’s these things that I think make the movie more believable and James Bond more human. Casino Royale was responsible for changing the whole dynamic of the Bond film and making Bond more real. 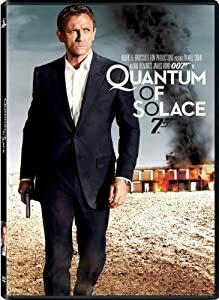 Quantum of Solace (2008) seemed to have elements of that, but there was something missing. Skyfall has resurrected the Casino Royale mentality with a vengeance. I rate this movie a 8.5 on a scale of 1-10.